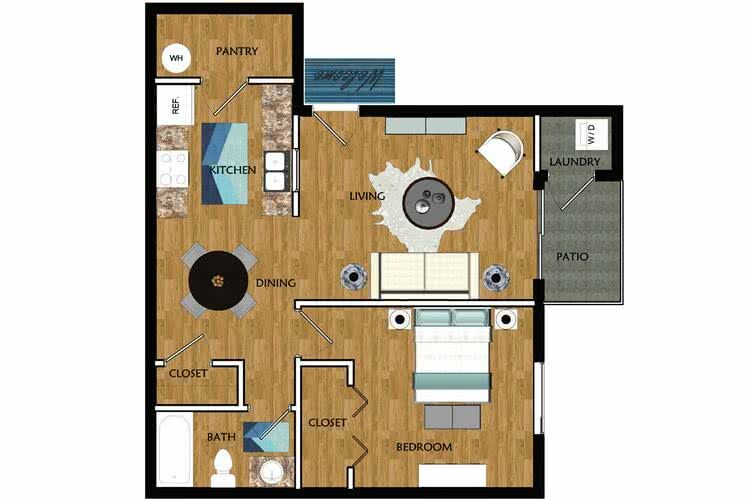 The Club is our spacious one bedroom one bathroom floor plan featuring an open concept kitchen with walk in pantry, dining area and private patio! You’ll find plenty of room in your master bedroom with over-sized closet. Best yet, washer and dryer is included! Be the envy of all of your friends with this 1 bedroom apartment in Las Vegas.